This Sunday (the Third Sunday of Advent, Gaudete Sunday, Year A) the readings give more substance to the “waiting” we are doing in Advent. They tell us what to expect, how to await it and how to behave. What do we expect? The fruits of faith. In his day, many of Jesus’s disciples expected Christ to be a political messiah. They wanted him to make this world more peaceful — or to make their side more victorious, anyway. In our day, we want Christ to be a “comfort Messiah.” We want him to make our lives less troubled. We want him to make problems go away. That is not the Christ we are told to wait expectantly for this Advent. He will revive those who are weakened by sin and make whole those who are maimed by sin. How should we await it? Patiently. When we have a new baby, we would love to see right away how that baby will look and act as a teen or young adult. But nature doesn’t give us that satisfaction. We have to watch, wait and tend the process for years. The same goes for our parish or our community or our nation. We would love to see a switch flipped and a new world appear. But there are few sudden changes in society, and next to none that last. It’s the same in our lives. We want to be transformed by grace, but we won’t be today. It will take many small, almost imperceptible, moments of grace. What to do in the meanwhile? Repent. Finally, in the Gospel, we are told what kind of person to be as we await our interior transformation and patiently help it along. In other words: Human beings are made whole — and the poor, in their poverty, are being made whole. The key thing is to identify with Christ. He then presents John himself as a model of the kind of person he wants us to be. His rhetorical questions paint a picture. 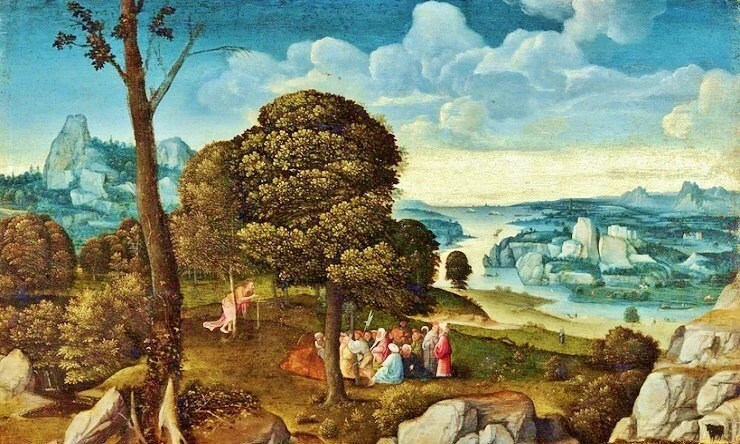 What we admire about John the Baptist is that his interior life is where his attraction lies. He is radically identified with Christ: He is identified with Christ from the inside out. He hasn’t adopted outward practices to imitate Christ; he has changed his inmost being. And he invites us to do the same.